California legislators do not seem capable of managing the state budget and have issued IOUs (promissory notes) as it continues to face cash problems. Rest assured that politicians are working day and night to come up with solutions. Apparently, the Mayor of Augora Hills Denis Weber together with California State Assemblywoman Julia Brownley seem to feel there are more pressing issues. 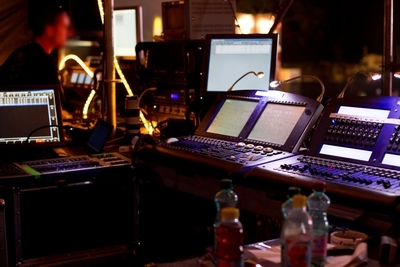 Such as proclaiming a month-long celebration starting July 1, 2009 to be “DTS 7.1 Day” (the surround sound audio technology). 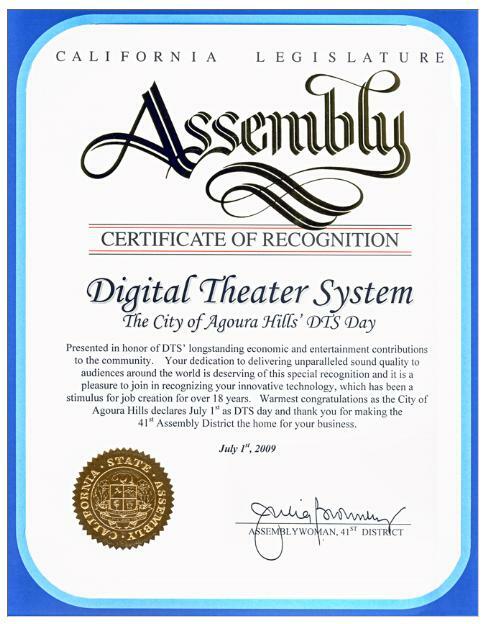 Assemblywoman Brownley also issued DTS (Digital Theater System) a Certificate of Recognition for “dedication to delivering unparalleled sound quality to audiences around the world” and “stimulus for job creation for over 18 years.” Some form of recognition for DTS can be excused, but a month-long celebration and the issuance of certificates? Is that really necessary.